loha from Chilliwack Restorative Justice and Youth Advocacy Association. Come out to show your support of this organization and help put the “fun” in fundraiser! 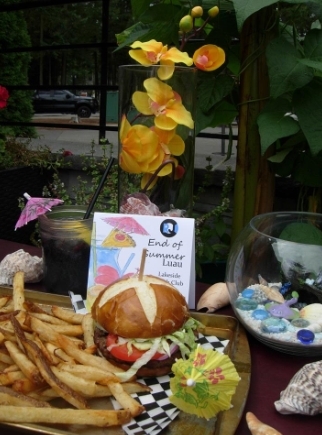 They will be hosting an “End of Summer Luau” at Lakeside Beach Club on Friday, September 18, 2015 at 6:00 P.M. This fundraiser will help raise much needed funds to continue the Restorative Justice program in the community. With each $20 ticket you will receive a 6 oz burger & fries, or salad, and your choice of a beer or a special RJ signature cocktail. There will also be a silent auction, toonie toss and 50/50 as well as live entertainment to round out the evening. “I am excited to be hosting this fundraiser event for Chilliwack Restorative Justice & Youth Advocacy Association! 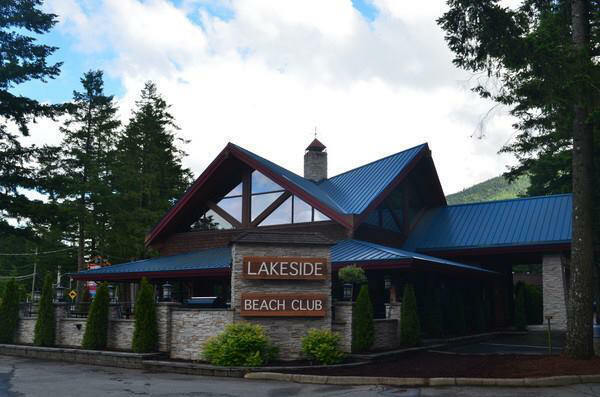 Get your tickets and support the cause.” comments Chris Ovens, owner of Lakeside Beach Club. 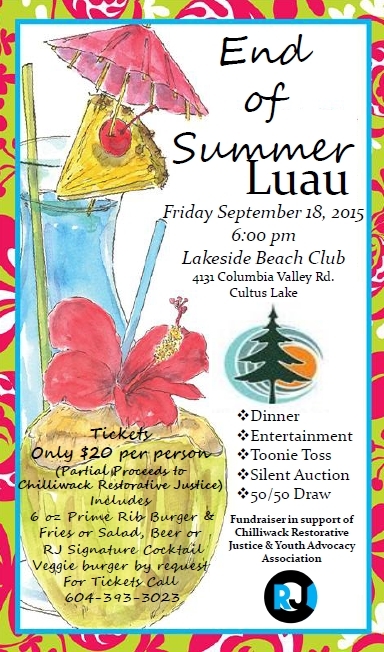 Chilliwack Restorative Justice presents End of Summer Luau on Friday, September 18, 2015 at 6 P.M. at Lakeside Beach Club, 4131 Columbia Valley Road, Cultus Lake. For ticket information please call 604-393-3023. Since our inception, in 1998, we have provided restorative services to over 2,000 individuals and have recovered over $100,000.00 in restitution.